Today we’re heading to Chalk & Cork on Cape Town’s Kloof Street. It’s the road that connects the centre of the city to all the City Bowl neighbourhoods and is where Long, Orange and Buitensingel meet. More than that it’s a hive of activity with such a range of places to eat and drink you’re going to get confused if you wander for too long. On the up side you’re definitely going to find something that suits your needs. Tapas-style eating is everywhere these days. Suits me as it means I get to try more of the dishes on offer and can avoid food envy when others’ orders look better than mine. The slightly strangely named Chalk & Cork specialise in sharing plates. This small, quirky restaurant has a lovely outside area, perfect for Kloof Street people-watching, a small bar area downstairs and a few tables upstairs. It’s a cosy little place with welcoming service and a great feel. And there are corks all over the place, they’re part of the decor – not so sure what the chalk has to do with it. Anyway, it’s certainly a name that sticks in the mind. We shared a range of dishes which were all outstanding. 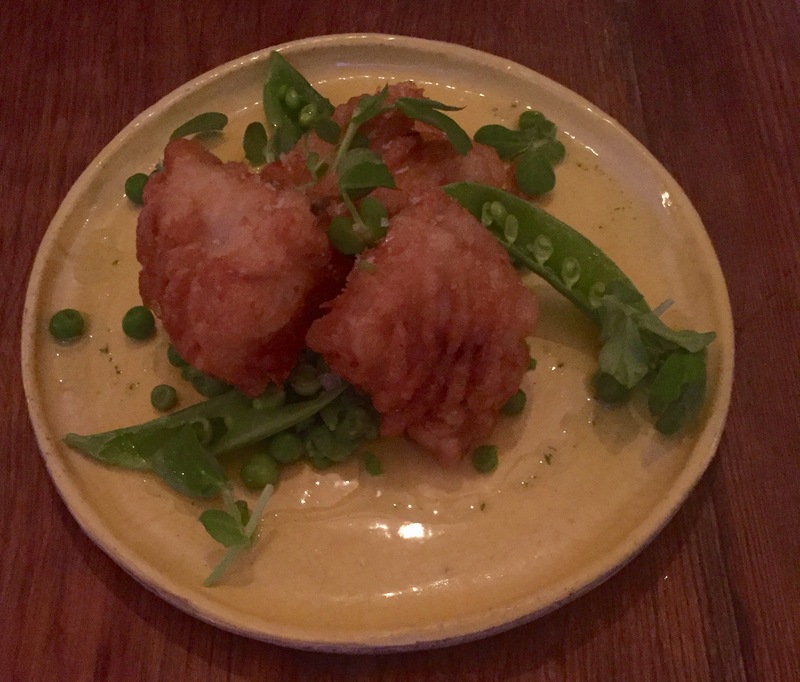 The tempura of East Coast hake came with variations of peas – such a clever idea. Pea puree, peas in and out of the pod and pea shots added a beautiful sweetness to the flakey fish with its perfectly crisp batter. 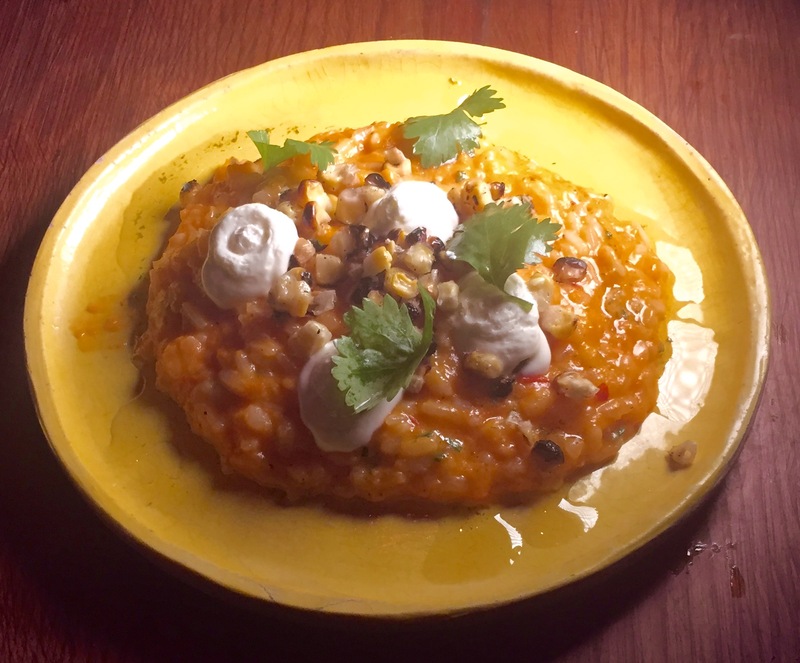 The smoked tomato risotto was served with sour cream and charred corn. The smoking certain gave the dish a unique flavour and the sour cream added extra zest. 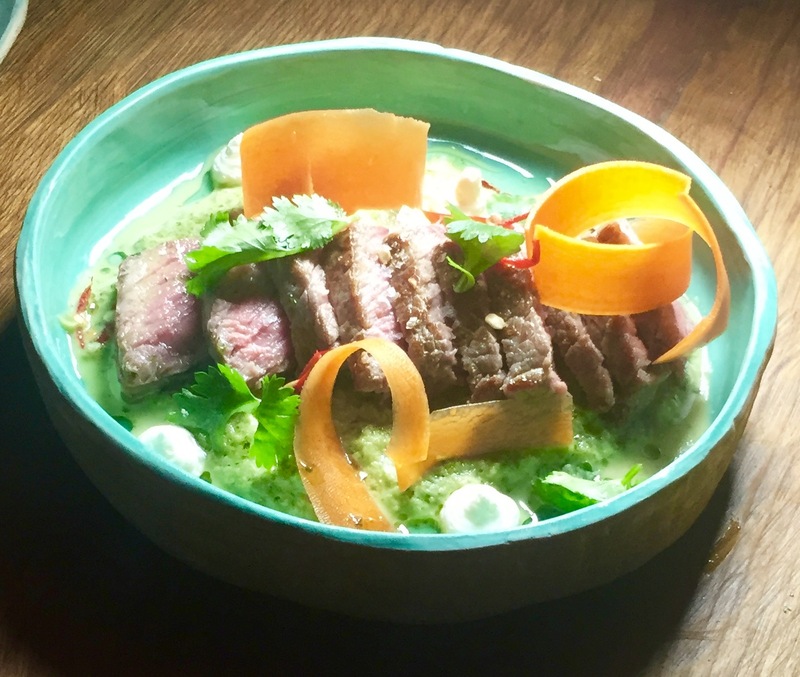 My favourite of the dishes we ordered was the aged beef steak which was served with pickled carrots atop an aromatic green curry sauce. The steak was so perfectly cooked and the sauce had a lovely creaminess and a real chilli kick. Think I’ll have to keep the whole bowl for myself next time. And doesn’t it look beautiful? 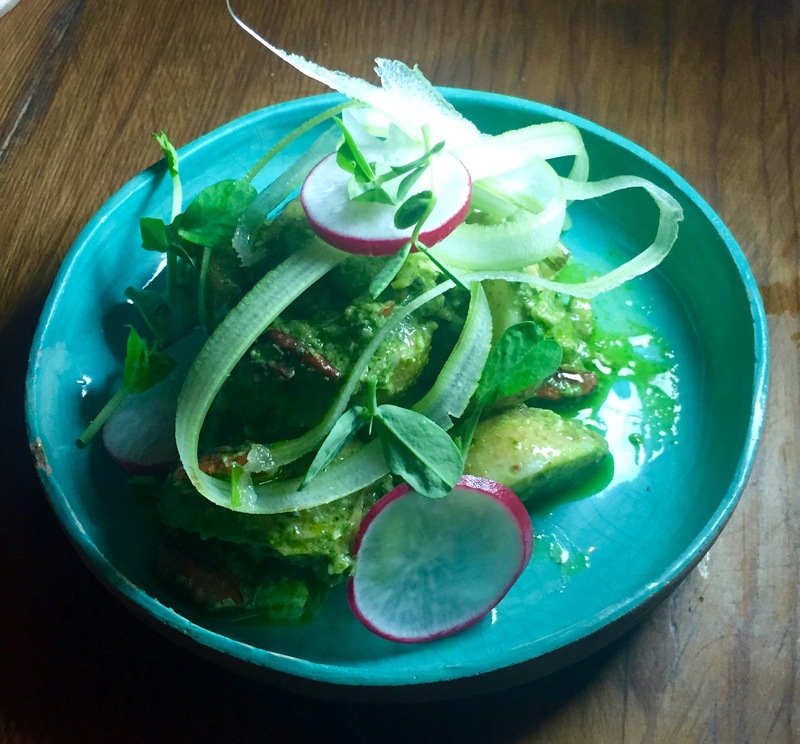 Finally, this stunning plate of food is their new potato salad with a herb aioli, walnuts, radishes and celery. Wonderfully crunchy and crisp with the herbiest of dressings. We did also enjoy a plate of lamb meatballs with mint yogurt, peas and fresh basil. Sorry for the lack of photographic evidence. I will definitely go back to Chalk & Cork. 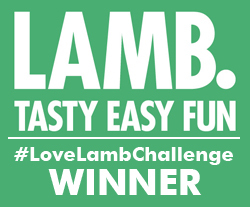 I loved all their dishes, the service was fabulous and it has a lovely, relaxed feel – and an excellent wine list. Most of all, it’s really great value for money. Writing about Kloof Street turned out to be more of a challenge than I’d anticipated as my autocorrect kept changing it to Aloof Street, which made me laugh (although it was incredibly annoying!). There’s certainly nothing Aloof about this street! Two gin and tonics, five tapas dishes and two bottles of wine cost us R638. (Around £40 at today’s exchange rate). It was plenty of food for four people. Chalk & Cork is at 51 Kloof Street, Cape Town.